The BP Clubhouse will be closed from April 15 to May 15, 2019 for interior repainting and kitchen upgrades. Do you have a few hours to give to your neighborhood? 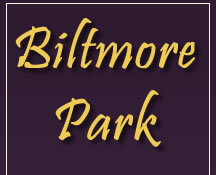 Biltmore Park has an active social calendar, which is organized entirely by resident volunteers. We are always in need of enthusiastic organizers to help our neighborhood stay vibrant and active.